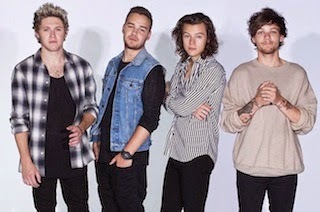 Despite a recent report in The Sun claiming that One Direction will go on a year-long break next year after they finish promoting their fifth album, due out at the end of 2015, the group have confirmed there is truth to that. "All pure speculation and not based on any facts," a rep for 1D said when speaking to Billboard. "The band are excited about their brand new fifth album and their upcoming tour." This follows comments Harry Styles gave Ryan Seacrest on Thursday (June 4), where he discussed that the writing process for the upcoming fifth album was going well. "We're all very excited. The creative process -- it's very similar to be honest," Styles said about the band's upcoming Zayn-free release. "But it was cool how some of the things came out sounding because actually there was a lot of parts that kind of needs to get written with Zayn in mind and with all of us in mind. It's great, the new stuff sounds good so far I think? I hope."